Z Energy has invested NZ$1.5million in permanent local forestry projects to voluntarily offset the emissions from their operations. The investment represents the largest voluntary purchase of units from permanent forest sinks seen in New Zealand to date. Z’s Sustainability Manager, Gerri Ward, says that for a carbon-intensive company that believes in the science of climate change, it was important to materially lead on solutions. 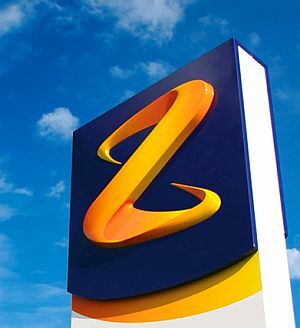 “Under Z’s environmental sustainability stand, we have committed to reducing our operational carbon emissions by 30% by 2020, and offsetting those we are unable to avoid. “We’ve been underway for several years in identifying ways we can transform our business and our behaviours to reduce our emissions first, before looking to offset those we can’t avoid at this point in time,” said Gerri. Z has partnered with long-standing carbon consultants Permanent Forests NZ Ltd (PFNZ) for this offsetting initiative. PFNZ specialise in aggregating, marketing and selling New Zealand forest carbon credits on behalf of owners of forests registered under the Permanent Forest Sink Initiative. Gerri said that investing in local, permanent forests ensures the veracity of Z’s offsetting efforts. “The integrity of our offsets is absolutely paramount. By locking up the carbon in these long-lived forestry projects, we know we’re getting authentic outcomes which we can stand by,” she said. According to PFNZ’s Managing Director, Ollie Belton, many possible participants in the voluntary market, for example companies looking to voluntarily offset their emissions, or attain “carbon neutral” status, are deterred by the complexity of the carbon market, the lack of links between the compliance and voluntary markets, and the shortage of available permanent carbon offsets. “This complexity has resulted in a reluctance to enter the voluntary market in recent years, both by buyers and sellers of forestry credits,” said Ollie. “This deal with Z will undoubtedly make others sit up and take notice and will lead to more land being committed to long term carbon conservation under the Permanent Forest Sink Initiative,” he said. Alongside the offset programme, Z also continues to focus on reducing the carbon intensity of its business. Z’s biodiesel plant in Wiri is operational, and Z has also recently increased its investment in Wellington-based electric ride-sharing company, Mevo.